So you liked the Iron Man movies, you're interested in the character but don't have access to a Local Comic Book Store or an iPad? No worries. Marvel's got you covered with their line of Motion Comics available on iTunes or PlayStation Network or Xbox Live or even Hulu. This motion comic series is essentially an animated retooling of an actual comic book into a sort of animated form. 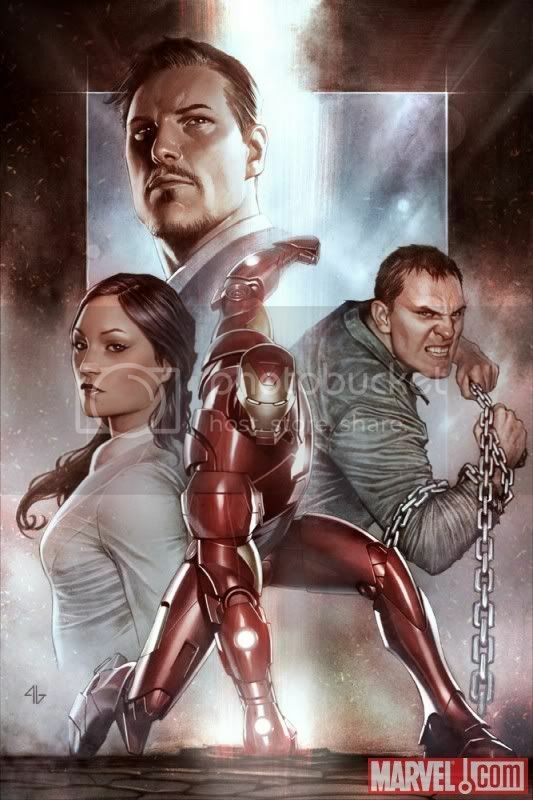 The Iron Man: Extremis story is an in-continuity tale where Tony Stark was updated in an extremely modern setting, with Tony and the Iron Man suit receiving basically a 2.0 upgrade. The series will come in six episodes, with each episode being an adaptation of each issue that made up the Extremis story. If you're interested - check it out. The animation looks a little bland, though it definitely captures the imagery of the comic. Only part of the trailer I found to be really good was the line "I went from being a man trapped in an iron suit, to being a man freed by it." The animation looks bland because it's not really animation. This isn't a cartoon. It's actual panels from a comic book, manipulated into moving. It's the middle-ground between comics and animation. Like a storyboard animatic, almost. Because I love wasting my money on comics, I found I was subsequently rewarded today by finding a promo code for this show in my issue of Ultimate Avengers 2 #2 and Invincible Iron Man #26. I've used one of these already for myself, leaving me with a spare. So kiddies, I'm holding a give-away. If you want this code, all you have to do is send me a Private Message (Not a Visitor Message! ), explaining to me how much you love Iron Man and why you deserve this. The code expires on the 30th of June so the entry cut-off is a week before. I'll announce the winner shortly after and send them the code through Private Message.